are a unique gift for all pet lovers. THEY ORDER 1 CUSTOM PET PAINTING AND GET $30 OFF. YOU GET $30 OFF YOUR 1 CUSTOM PET PAINTING. *Both custom orders must be placed at the same time. Email (below) contact information of you and your friend, email addresses, and phone numbers. 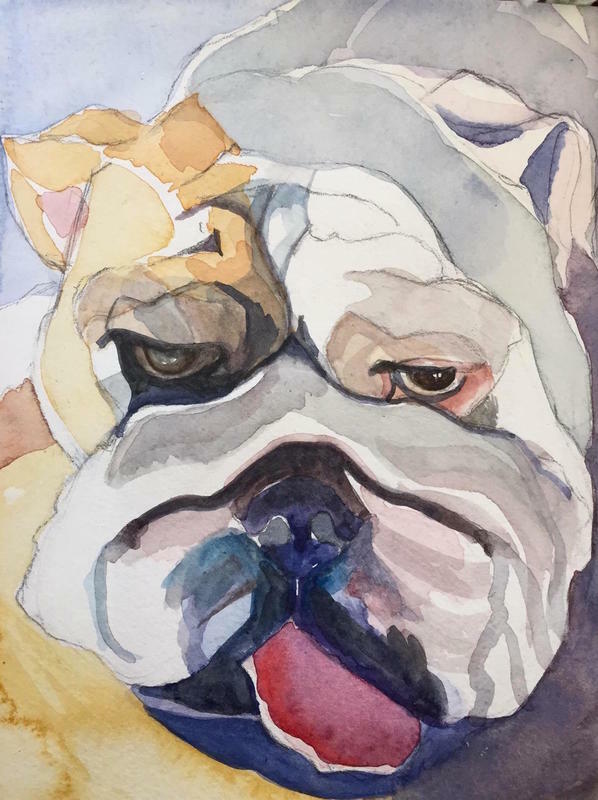 Custom Pet Portraits Available in 3 Sizes: (Standard) 8" x 10", (Medium) 12" x 16", (Large) 20" x 30"
Please tell me Dog (and/or Cat) Portrait/s you are ready to commission, pet name, breed, if gift (for what special occasion/preferred date of receipt). Tell me more... I would love to hear about your dog's or cat’s personality so that I can best communicate your dog’s essence. 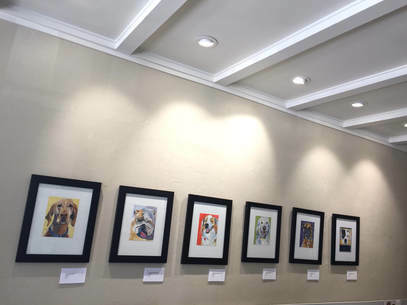 Tell me why you want to have a unique, one-of-a-kind portrait of your dog. E-Mail with your dog photo. All artwork on this page is copyrighted and owned exclusively by the artist, Amanda Pirot. Get on the Mailing List Today!